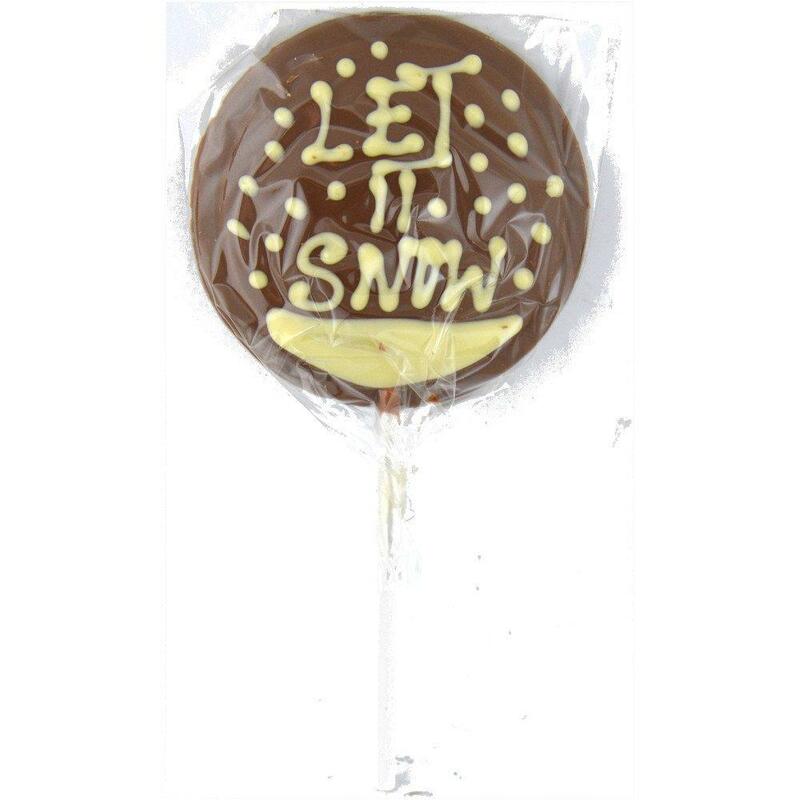 Milk chocolate lollipop decorated with white and dark chocolate. Milk Chocolate Contains: Sugar, Cocoa Butter, Whole Milk Powder, Cocoa Mass, Emulsifier: Soya Lecithin. Natural Vanilla Flavouring. Cocoa Solids 34% minimum, Milk Solids 22% min White Chocolate Contains: Sugar, Cocoa Butter, Whole Milk Powder, Emulsifier: Soya Lecithin, Natural Vanilla Flavouring. Cocoa Solids 28% Min, Milk Solids Emulsifier: Soya Lecithin, Natural Vanilla Flavouring. Cocoa Solids 28% Min. Milk Solids 25% Min. Dark Chocolate contains: Cocoa Mass, Sugar, Cocoa Butter, Emulsifier, Soya Lecithin, Natural Vanilla Flavouring, Cocoa Solids 55% Min.